Serbian writer and historian Dr. Srdja Trifkovic says it is surprising that alleged war criminal Ratko Mladic was arrested in the home of a close relative, because his close contacts had been under observation by the security services for years. “This can mean two things: either that he was entirely left to his own devices and that there was no elaborate support group in the background helping him hide, or that the Serbian authorities have been conniving in his hiding, which I don’t believe to be the case,” he said. Robinson had also pointed out that today's arrest will influence Karadzic’s case, a point echoed by Trifkovich. “The prosecutors at The Hague will try to pit Karadzic against Mladic, and I expect their long-term strategy will be to have one try to pin the blame on the other, and in the end they would be both worse off, which would be the best possible scenario for The Hague,” said Trifkovic. 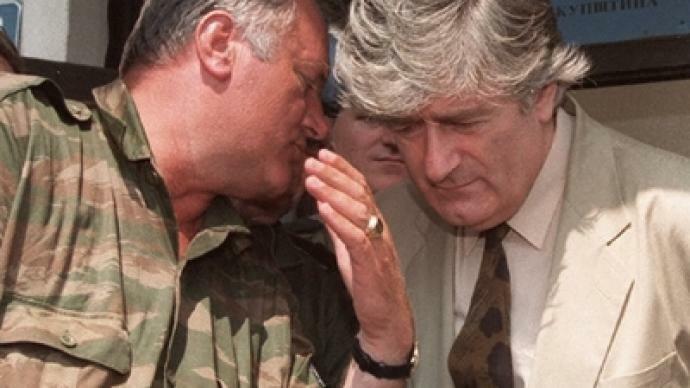 As for accusations that the UN War Crimes Tribunal for the Former Yugoslavia is biased and obsessed with catching only Serbians, Trifkovic was stinging in his criticism. 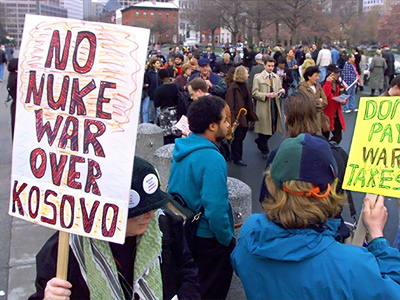 “This is a highly politicized institution that has been used over the years to provide retroactive quasi-judicial verification of the political position of the Western powers that the Serbs are indeed the main culprits for all that came to pass in the former Yugoslavia,” he said. Trifkovic says that the Serbian media is now controlled by the government more than it ever was under Slobodan Milosevic, and consistently pushing the idea that joining the EU is a panacea for all that ails the country. “If Serbia does join the EU, it will be the first time in history that a rat has jumped onto a sinking ship,” he said. 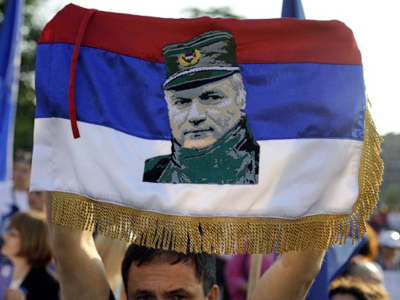 ­“Definitely his arrest is the price which Serbia has to pay. Whether it will improve Serbia’s chances is difficult to say, because a lot of people will draw the conclusion that because he has been in Serbia for so long, Serbia is somehow responsible for hiding him. In any case, I am skeptical that EU membership [will be given to Serbia] anytime soon,” political analyst and historian John Laughland told RT. ­Misha Gavrilovic, a Balkans political expert, thinks the tribunal in The Hague probably knew Mladic’s whereabouts, but was not ready to capture him and wanted to process others first – namely, Slobodan Milosevic and Radovan Karadzic. “The reason that Mladic was found in Serbia, but not in Bosnia, is to implicate Serbia in having supported military operations in Bosnia. These accusations have been made many times before, so this would be part of the finding of Mr. Karadzic in Belgrade,” said Gavrilovic. ­Nebojsa, a historian specializing in the Balkans, says that the chorus of praise from world leaders on the arrest of Ratko Mladic is not what the Serbian people wanted to hear.